Question: Why did Prince William Soccer apply for Players First licensing? Mike Cullina, Executive Director of Prince William Soccer: Our staff is consistently focused on raising the standard in all aspects of the game with the intention of improving the experience of our membership. 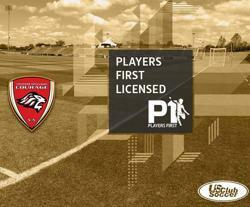 Having an objective measurement with the level of detail US Club Soccer has placed in the Player First licensing is both a tool we can use to consider our priorities aimed at development as well as provide our membership with a communication tool to report on our progress. Question: What does it mean for Prince William Soccer to now be an official Players First-licensed club? Cullina: We are incredibly fortunate at the level of talent and quality of people in our organization. The ability to recognize them for the commitment they give to our players, while also demonstrating that pledge to our membership is very rewarding. Cullina: US Club Soccer has developed an objective tool designed to recognize clubs for their efforts, and more importantly, one that aids in our development individually and as an organization. Question: What would you like the parents of Prince William Soccer to know about what this means to them?